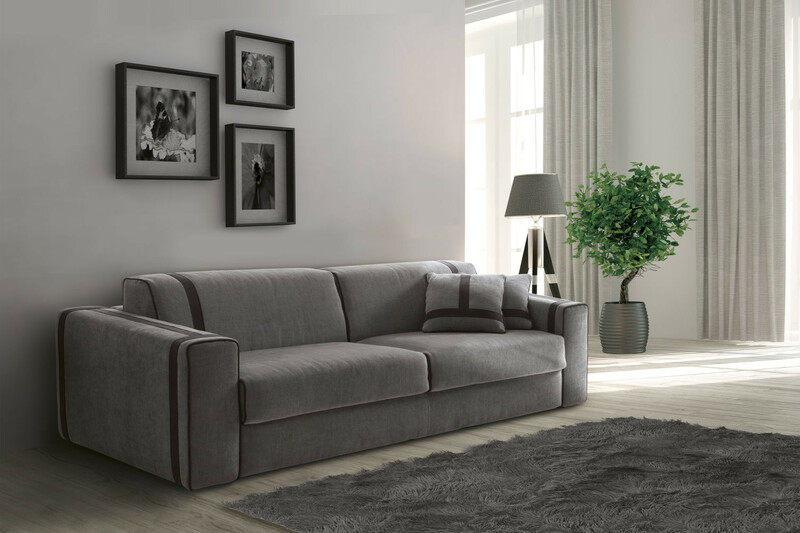 Ellington is a demountable sofa bed, a characteristic that makes it ideal to be carried into all kind of houses, even those with narrow hallways and staircases. It is an elegant sofa with decorative inserts and a protruding piping that enhance and outline armrests and backrest. 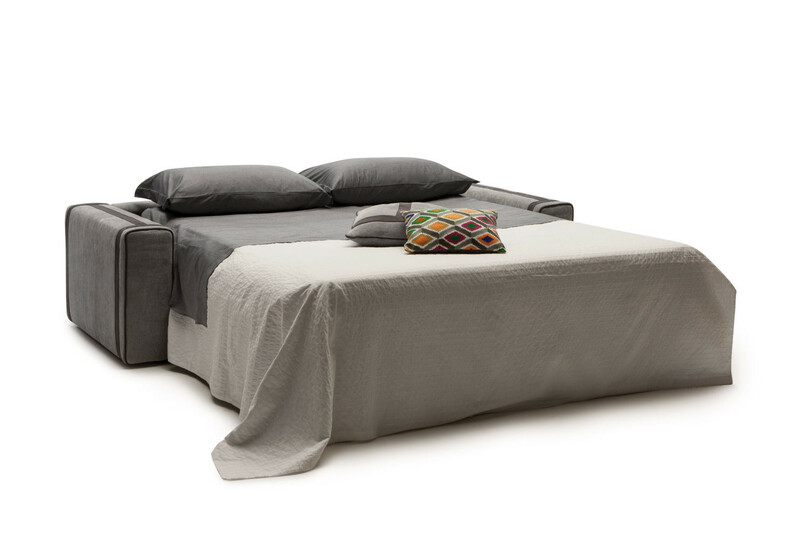 It is a sofa bed with a cm 200 long mattress available in several models, designed to suit any taste and always provide the best sleeping comfort. Design sofa during the day and comfortable bed during the night, Ellington is the best solution to accommodate your guests. 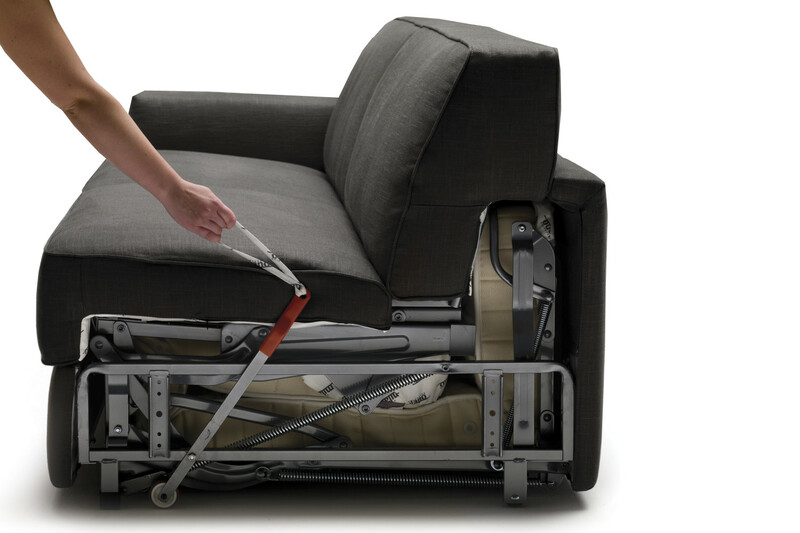 You only have to overturn the sofa backrest towards the floor, without removing any cushion, to uncover a single, XL single or double mattress. 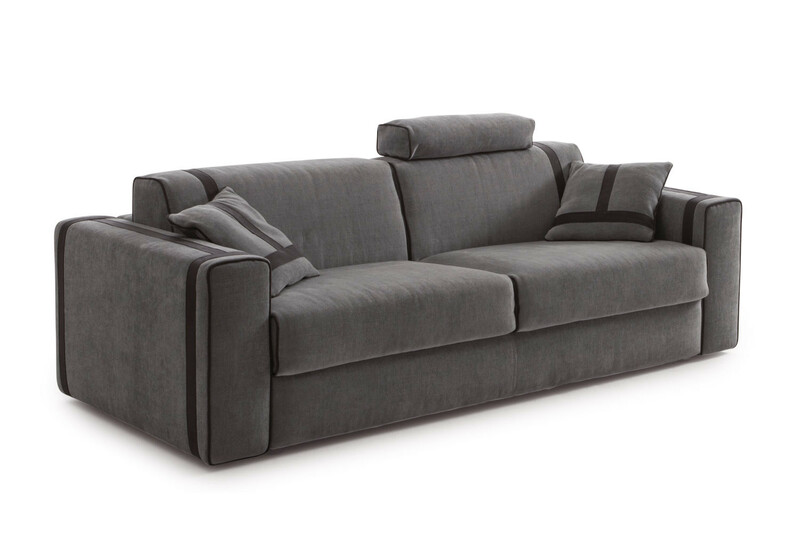 An elegant and classy sleeper, Ellington can be chosen as armchair, 2 or 3-seater linear sofa bed, sofa bed with chaise longue or corner sofa bed. 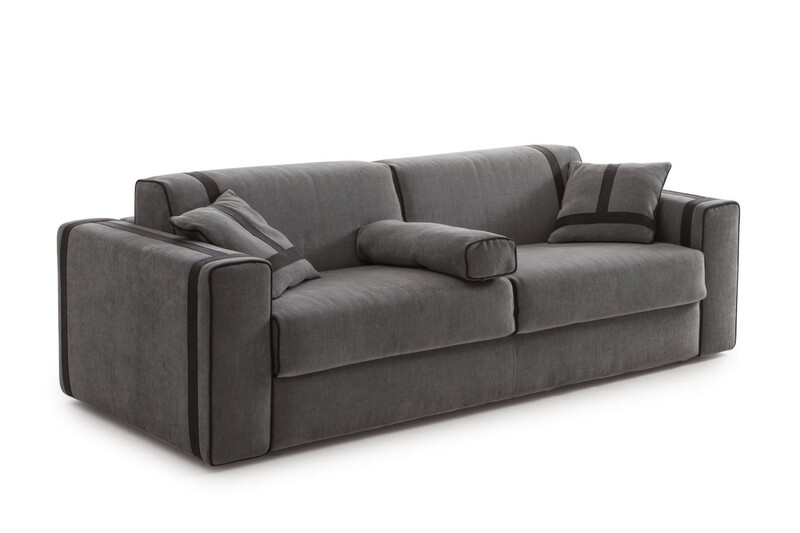 Other than the dimensions, the wide range of covers available makes Ellington a very versatile design sofa bed. 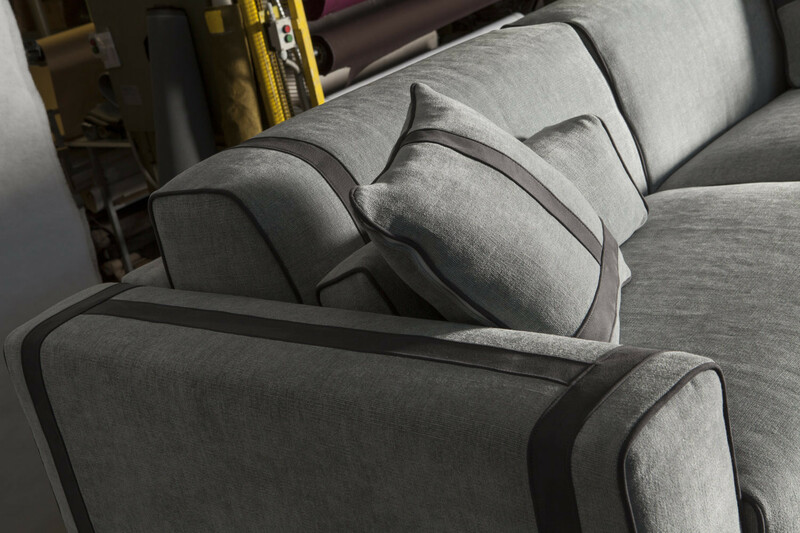 View the dimensions of the single elements that compose the sofas with chaise longue and the corner sofas in the Specifications tab. 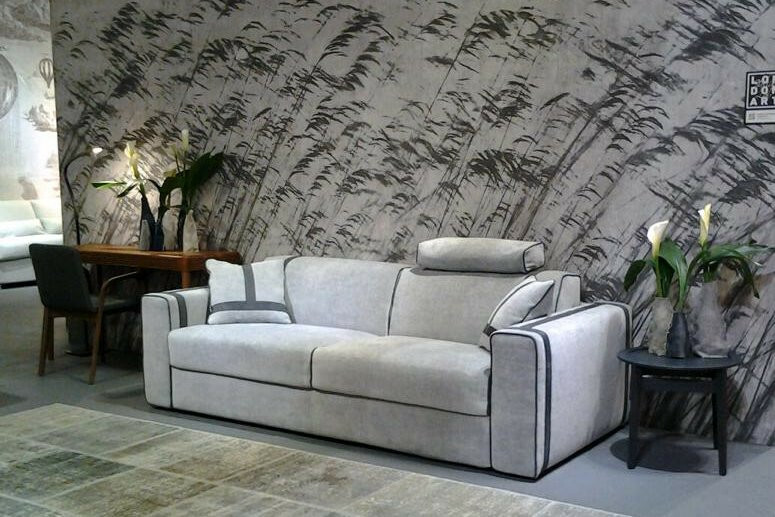 The sofa bed with chaise longue can have the chaise longue on the left or on the right, by looking at the sofa from the front. 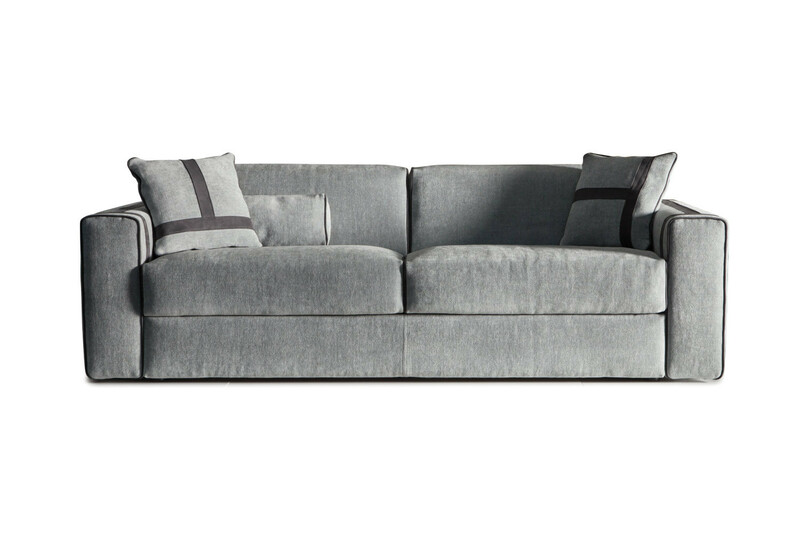 The corner sofa bed can have the bigger side on the left or on the right, by looking at the sofa from the front. 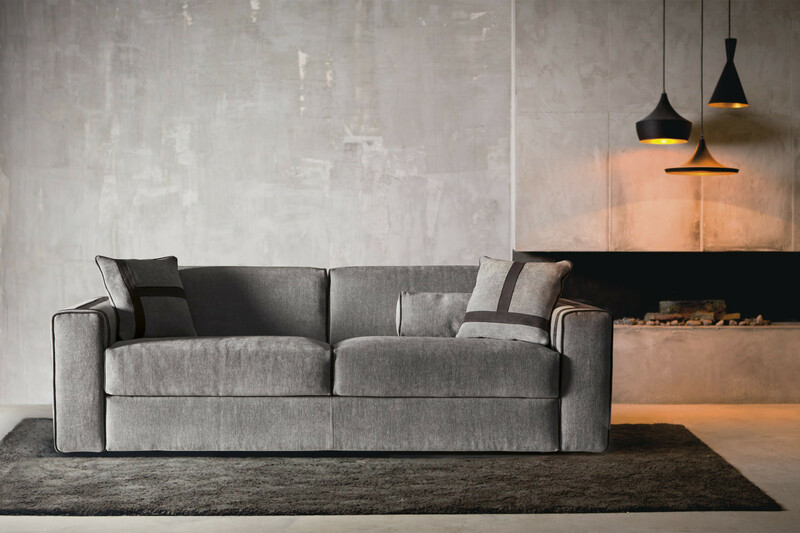 Ellington sofa bed is available in fabric, eco-leather and leather in a wide range of colours, all displayed in the samples page. 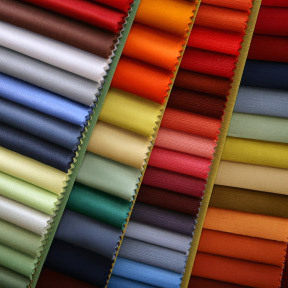 The sofa bed cover can be removed and washed according to the specifics of each material. All models include a Standard h.12 mattress with Bonnel biconical springs. As an alternative several other mattresses are also available: models with pocket springs, in polyurethane and latex. 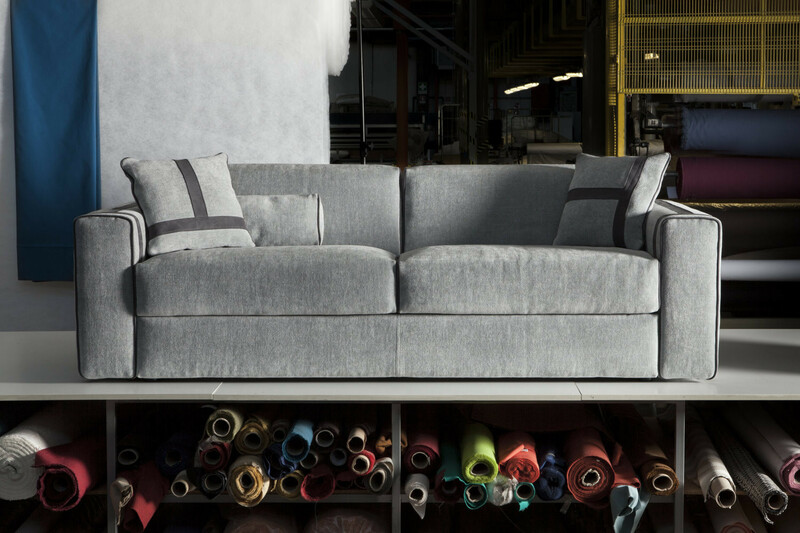 Ellington piping and inserts are available matching the sofa bed, or in a contrasting colour belonging to the same category chosen for the cover. Ellington sofa bed can be completed with a cm 81x81 h.45 ottoman with matching cover. Structure: high resistance furniture tube, oven coated with epoxy powders. Seat with elastic webbing. Orthopaedic bed base with steamed beech plywood slats. Mechanism opening and closing in one time. 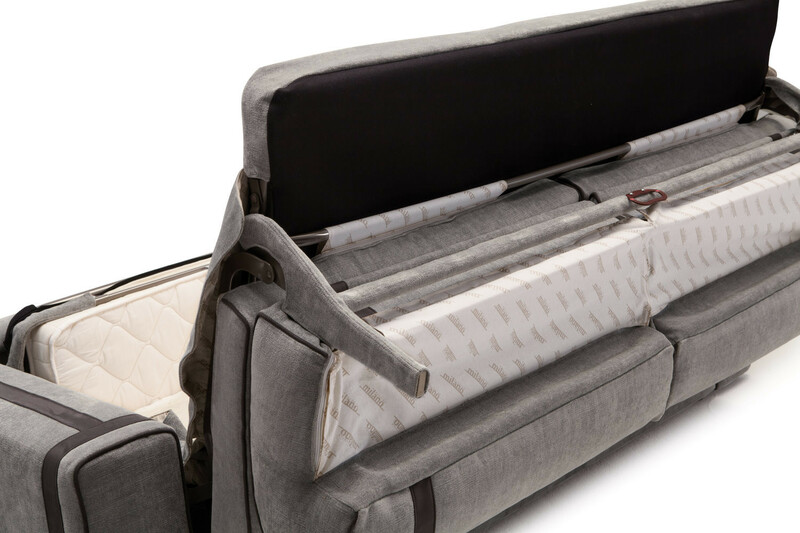 Mattress: standard, 35 Kg/m³ expanded polyurethane covered with 100% cotton fabric, quilted on top and bottom with 200 g/m² 100% polyester wadding. Seat: 35 Kg/m³ expanded polyurethane, coated with 100% PL wadding covered with 280 gr/m² interliner combined with mm 2,5 quilted interliner. Backrest: 21 Kg/m³ expanded polyurethane and 400 g/m² 100%PL needled fibre layer combined with mm 2,5 quilted interliner. Structure: 30 Kg/m³ covered with interliner combined with 200 g/m² resin fibre. 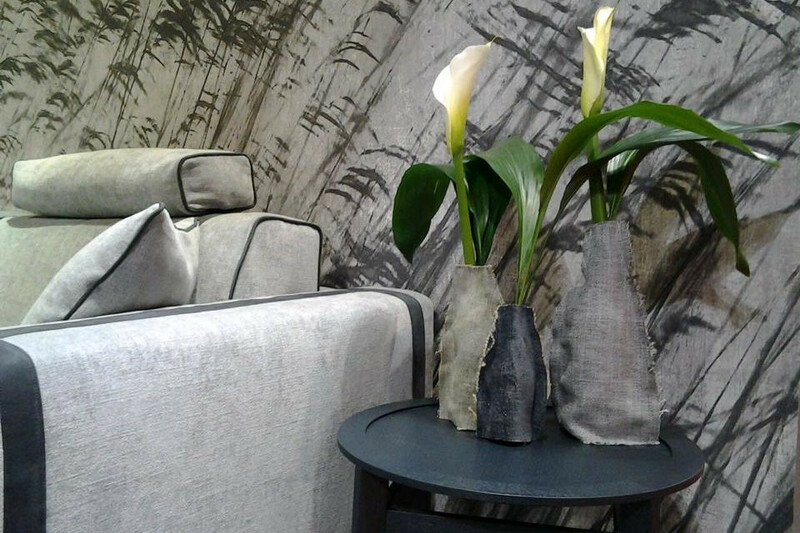 Armrests: 40 + 30 Kg/m³ expanded polyurethane, covered with interliner combined with 200 g/m² resin fibre. + armrests cm 22 each.